Berlin may not be the first destination culture hounds think of when looking to travel in Europe but there are ample reasons to reconsider Berlin as a travel destination. The 800 year-old city is home to such landmarks as the Brandenburg Gate, portions of the Berlin Wall as well as a world-class zoo (the most visited in Europe), and boasts a top class collection of museums. Of the 5 buildings that comprise Museum Island, Altes Museum is the oldest, having opened in 1830. Its façade may be the most impressive with its 18 columns harkening back to the grandeur of ancient Roman architecture. The original showcase for Berlin’s collections, it now houses the collection of classical antiquities including an ancient Greek collection found on the ground floor. Neues Museum, finished in 1859, was the second of the museums to be built and was renovated in the ‘80s to incorporate damage from WWII into the preservation. The museum houses Stone Age and ancient Egyptian artifacts. 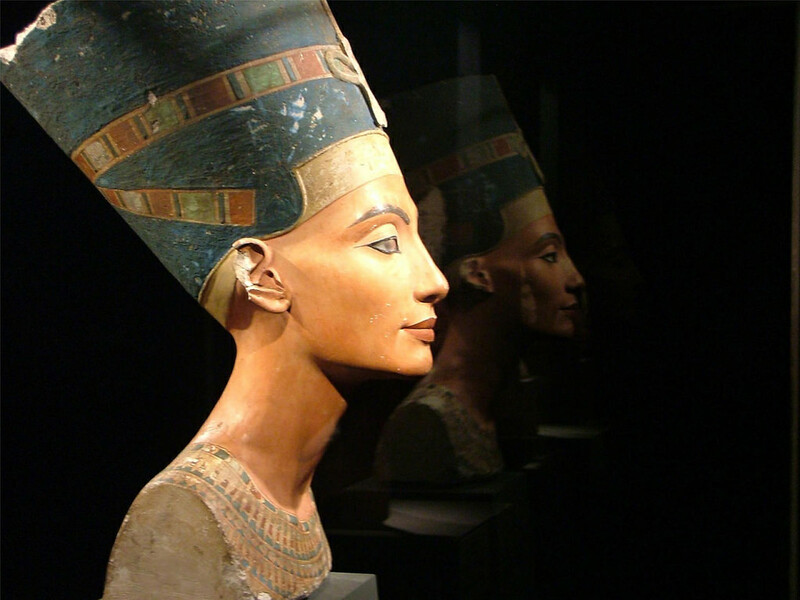 One of the most famous pieces at the Neues Museum is the bust of Egyptian Queen Nefertiti. The Alte Nationalgalerie, completed 11 years later in 1870, was built in the style of a temple, even covered in motifs of antiquity. The museum houses fine arts collection including Neoclassical, Romantic, French Impressionist (including some Manet and Monet) and early Modernist works. The Bode Museum, opened in 1904, covers the island’s Northern tip. It has an impressive Byzantine and coin collection as well as Renaissance, Baroque and Gothic art, separated and organized geographically and chronologically. One of the more controversial pieces in the art history, the Flora Bust, is housed here. Thought originally to be a Leonardo da Vinci piece, there has been claim and counter-claim to its authenticity. The Pergamon, built in 1930, might be the most impressive inside. Not only does it house the antiquity collection (including a fragment of Epic of Gilgamesh, the first story ever written down) but it also includes many rooms that could be considered pieces of themselves. These include the 2nd century BC Pergamon Altar, disassembled from Pergamon, Greece and for which the museum was built, as well as the Roman Market Gate of Miletus, the lapis lazuli covered Ishtar Gate of Babylon, and Mshatta Façade from an 8th century desert castle in Jordan. You can gain entrance to any of the museums for a fee between 10 to 12 euros or 18 euros to get into all of them for the day. A 3 day “Museum Pass Berlin” can be purchased for 24 euros.